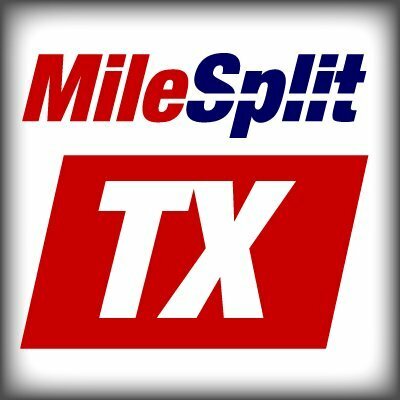 The Houston Cougar Men's and Women's Track & Field teams continue their outdoor season by heading across town to Rice at the Victor Lopez Classic, from March 22-23. Felipe Valencia will be competing in the hammer throw where he sits fourth in The American with a 168-4 (51.32m). Mikaila Martinwill also be competing in the hammer throw where she ranks sixth in The American with a 181-0 (55.18m) and has the 40th-best mark in the NCAA. Priscilla Adejokun sits eighth in The American and has the 85th-best mark in the NCAA with a 168-2 (51.27m). Valencia will also compete in the shot put where he sits in first in The American with a top throw of 58-9.25 (17.91m) and has the 11th-best mark in the NCAA. Following right behind the conference rankings is Triston Gibbons who is sitting with the 19th-best mark in the NCAA at 57-8.25 (17.58m). Gibbons will be competing in the discus where he stands in second in The American and has the 16th-best mark in the NCAA with a 179-4 (54.67m). Hailey Pollard will also be competing in the discus throw as she sits in second in The American with a 148-9 (45.33m) and has the 65th-best mark in the NCAA. Ryan Pickering is ranked fourth in The American and has the 85th-best mark in the NCAA with a 143-2 (43.64m). Phedenia George-Mosbey is a definite watch as she sits in first in long jump in The American with a 19-5.25 (5.92m) and is ranked 15th in the NCAA. Colin George will be competing in high jump as he sits No. 1 in The American and 14th in the NCAA with a 6-9.75 (2.08m). Ben Percefull is another watch as he shares first in The American pole vault with a 16-0.75 (4.90m) and is ranked 23rd in the NCAA. Blake Contreras will be competing in the 1500-meter run as he sits in second in The American with a time of 3:58.40. Although he will make his debut for the 110-meter hurdles for the outdoor season, Amere Lattin is an athlete to watch as he will be competing in multiple events. Competing in the 400-meter dash is Naaman Outing who sits in second in The American with a time of 49.66. Competing in the 100-meter dash is Terence Ware as he sits in fourth in The American with a time of 10.59 and ranks 32nd in the NCAA. Ariele Adams will be competing in the 100-meter dash who is ranked fifth in the conference and 56th in the NCAA with a time of 11.91. Edward Sumler IV is a definite watch as he sits on top in the 200-meter dash in The American with a time of 20.95 and is ranked fourth in the NCAA. The women’s 4x100-meter relay is also a team to watch as they sit second in The American and rank eighth with a time of 44.77. The women’s 4x400-meter relay will also be competing. The group currently sits second in the conference and 14th in the NCAA with a time of 3:43.18. Live results for the Victor Lopez Classic will be made available and can be found by clicking HERE. A full schedule for the Victor Lopez Classic can be found by clicking HERE. 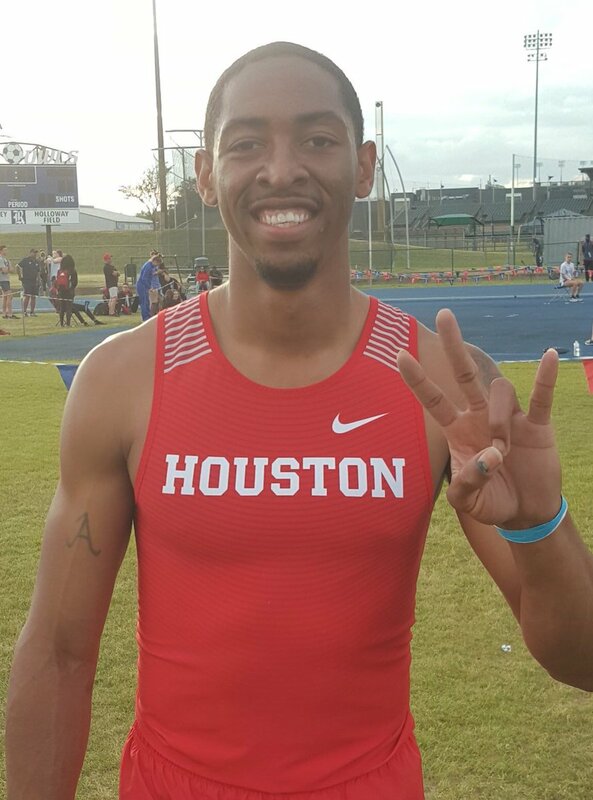 The Houston Cougar Men's and Women's Track & Field program finish up an incredible weekend at the Victor Lopez Classic with eight titles, part of 20 top-three finishes. 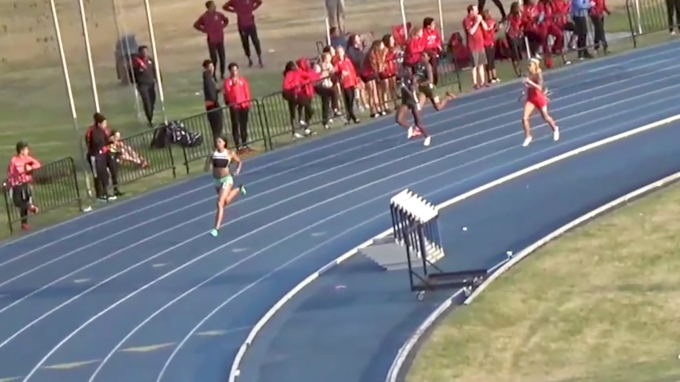 A 400m battle between New Balance pro Gabby Thomas and Houston’s Birexus Hawkins resulted in an upset at the 2019 Victor Lopez Classic.